Predictive reasoning, or the problem of estimating future observations given some historical information, is an important inference task for obtaining insight on cities and supporting efficient urban planning. 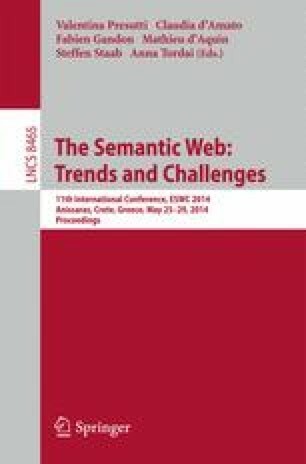 This paper, focusing on transportation, presents how severity of road traffic congestion can be predicted using semantic Web technologies. In particular we present a system which integrates numerous sensors (exposing heterogenous, exogenous and raw data streams such as weather information, road works, city events or incidents) to improve accuracy and consistency of traffic congestion prediction. Our prototype of semantics-aware prediction, being used and experimented currently by traffic controllers in Dublin City Ireland, works efficiently with real, live and heterogeneous stream data. The experiments have shown accurate and consistent prediction of road traffic conditions, main benefits of the semantic encoding. The research leading to these results has received funding from the European Union’s Seventh Framework Programme (FP7/2007-2013) under grant agreement ID 318201 (SIMPLI-CITY).